Nestled in the Mediterranean Sea just 50 miles off the coast of Sicily and under 200 miles from the coast of North Africa, the sunny island of Malta is the perfect place for a luxury summer holiday. There is over 7,000 years of rich history which is a delight to explore alongside the islands modern day attributes. Below are our top things to do in Malta this summer. Malta is steeped in history boasting heritage from the Neotholic period to the Phoenicians, Carthaginians then the Romans and Byzantines. Traces of which all can be found around the island today. 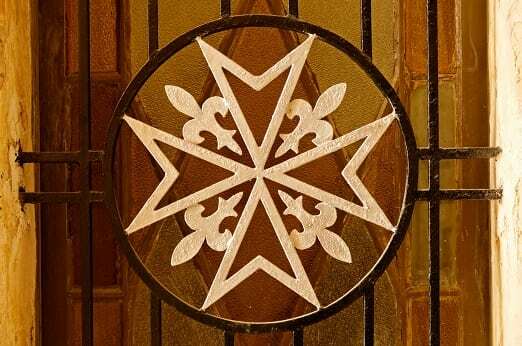 The Sovereign Military Order of St. John of Jerusalem ruled over Malta between the 16th to 18th centuries and this heritage still holds a strong influence in the present day, most prevalently in the island’s symbol – the eight point Maltese cross. “To live in truth, have faith, repent one’s sins, give proof of humility, love justice, be merciful, be sincere and whole-hearted, and to endure persecution”. These are the eight commitments of the knights and to this day the symbol of the Sovereign Military Order of Malta. There are numerous archaeological sites to visit including the Hypogeum with its labyrinth of underground chambers, UNESCO World Heritage Sites including temples, Roman villas and even the capital of Valletta. The National Museum of Archaeology in Valletta is a great starting point for information. 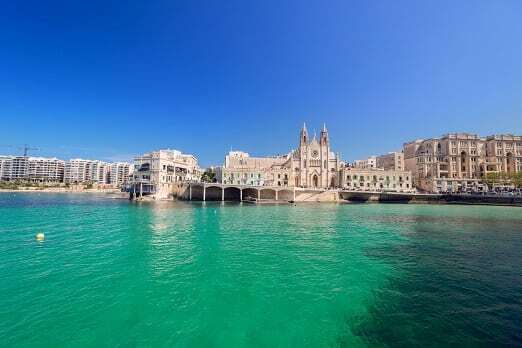 There are plenty of places to enjoy Malta’s opulent culture including the National Museum of Fine Arts situated in a stunning 16th century Rococo building. For those with a love of music the Manoel Theatre in Valletta is a particularly wonderful place for concerts. There are numerous cultural events and festivities throughout the year so you will be sure to find something on during your stay. With hot, dry summers accompanied by pleasant sea breezes there is always an opportunity to enjoy Malta’s beautiful landscape. A haven for walkers there are lush green valleys and dramatic rocky cliffs to walk along, plus multiple of prehistoric sites to discover along the way. A favourite for its stunning sea views – perfect for sunset is to walk along the Dingli Cliffs. As the highest point in Malta it is a fantastic place to take in views of the island. 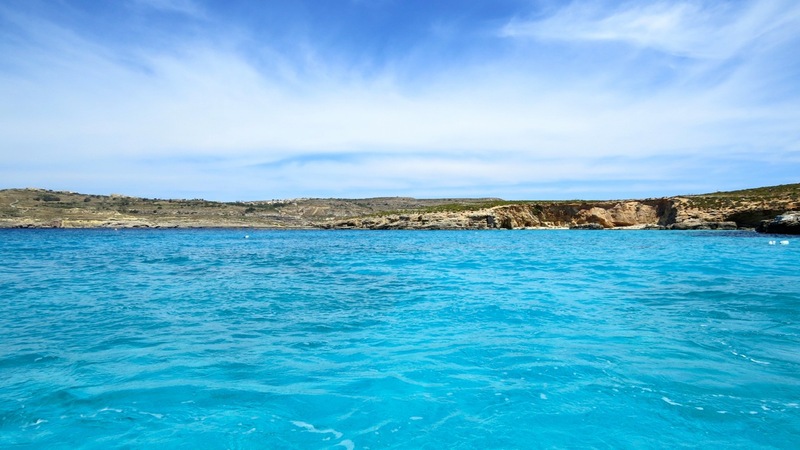 The tiny island of Comino is located in between Malta and Gozo and is only 3.5 square kilometres in size. Although small this island is one of the top things to do in Malta with activities a plenty for walkers, divers, snorkelers and windsurfers. The Blue Lagoon is perfect for a day trip away from the main island. This sheltered inlet offers crystal clear waters and white sand ideal for those looking for a day at the beach. Comino is easily accessible from Malta by a short boat trip. 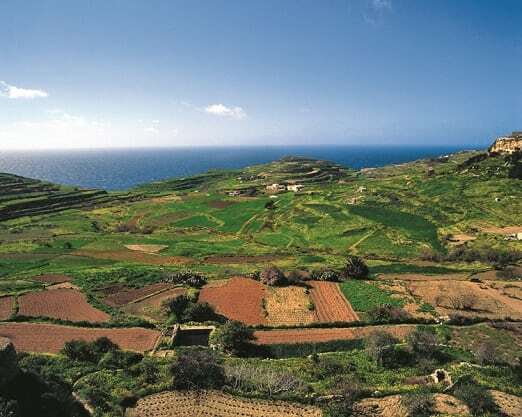 Of course it is always recommended to visit to Gozo. This charming island is popular with both tourists and locals with its calm, tranquil atmosphere, striking views and pleasant landscape. Gozo is best enjoyed by foot. Other ways to enjoy the best of nature is by bike with an abundance of easy to follow tracks and trails or, for those wishing to indulge in the warm waters of the Mediterranean Sea there is a plethora of watersport outlets to suit all. 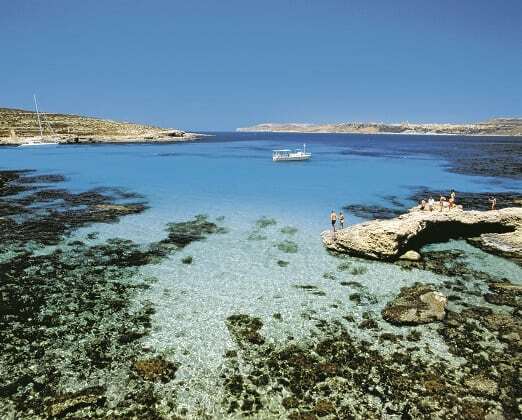 Malta boasts a wealth of fantastic beaches from secluded bays to those fully serviced by cafes and bars. The main coastal resorts are in the north of the island including the popular Golden Bay. Paradise Bay and Armier are smaller and quieter with lovely views of Gozo and are located on the north eastern tip of Malta. There are plenty of sporting opportunities during the summertime in Malta from golf to tennis to watersports such as scuba diving, windsurfing and sailing. Horse riding is one of Malta’s most popular spectator sports with races held every Sunday from October until the following May. Locals enjoy the leisurely sport of bocci which is akin to the British lawn bowling. Why not partake in a game or two one sunny afternoon? With the weather warm enough for summer holidays through to the end of October there is plenty of time to see this delightful Mediterranean island. Whether you are looking for sport, adventure, and discovery or to simply relax in wonderful surroundings Malta is an ideal holiday destination. For both singles, couples and families there are plenty of things to do for everyone. For our range of 4 and 5 star luxury hotels in Malta perfect for your stay click here. For more Malta inspiration read our guide to festivals and events. For personalised, luxury look no further.